China pledged to increase its carbon dioxide emissions until 2030 and then reduce them at the U.N. Paris Conference last December. The government has promised to reduce overcapacity in the coal sector and other industries, setting aside 100 billion yuan to resettle laid-off workers, some 1.8 million of them from the coal and steel sectors. The National Development and Reform Commission, China’s top economic planning agency, has banned approvals for new coal-fired power projects in oversupplied regions. While this move may help curb some planned projects, many are already under construction. 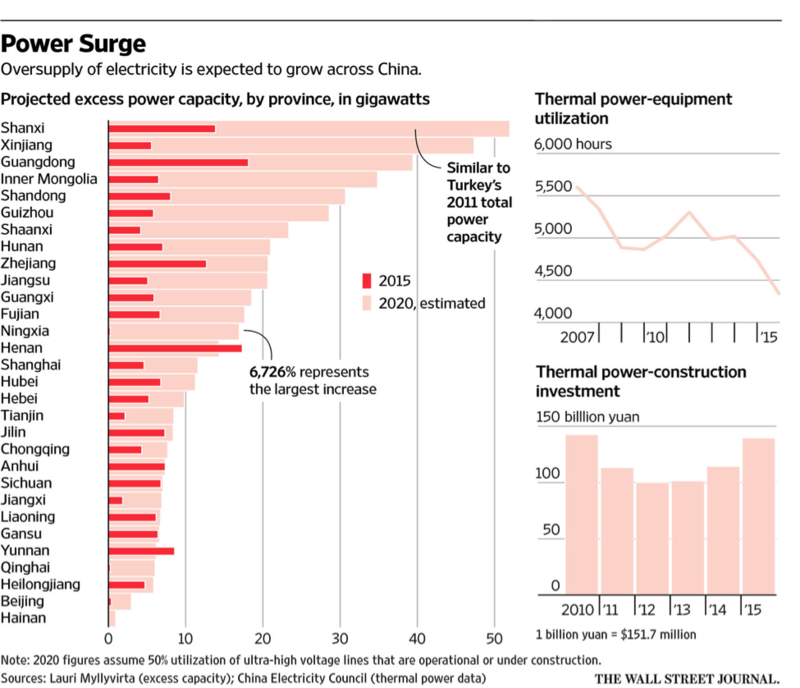 One force behind the increase in China’s coal-fired capacity is lower coal prices. As an example, prices for one coal type at the northern port of Qinhuangdao recently dropped to below $60 per metric ton from about $130 per metric ton in 2011. These low fuel prices keep projects profitable despite state-set electricity prices that have not declined as much as the price-drop for coal. China is considering reform plans that include letting industrial consumers negotiate power supply agreements with producers, which could bring down electricity tariffs. Further making investment worthwhile are commercial borrowing rates for loans of five years or longer that dropped to 4.9 percent at the end of 2015, compared with 7.05 percent in early 2012. 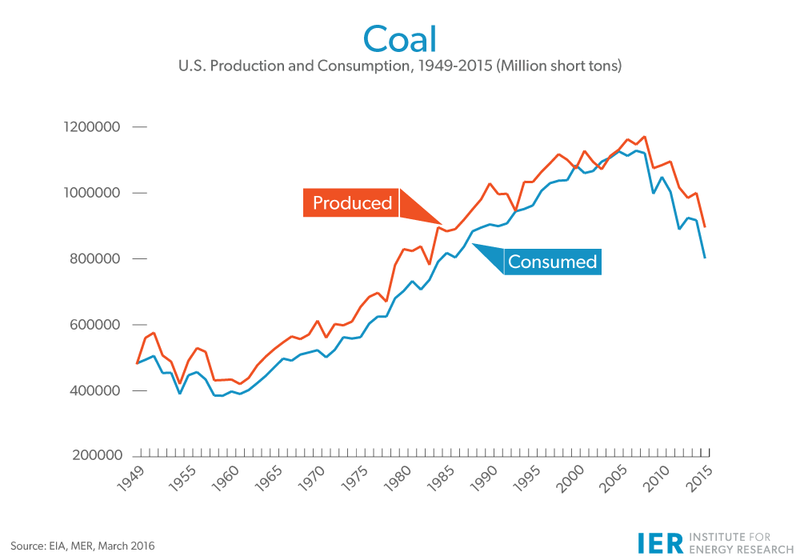 U.S. coal consumption plunged 12.7 percent in 2015 due to over regulation by the Environmental Protection Agency and competition mainly from currently low cost natural gas. 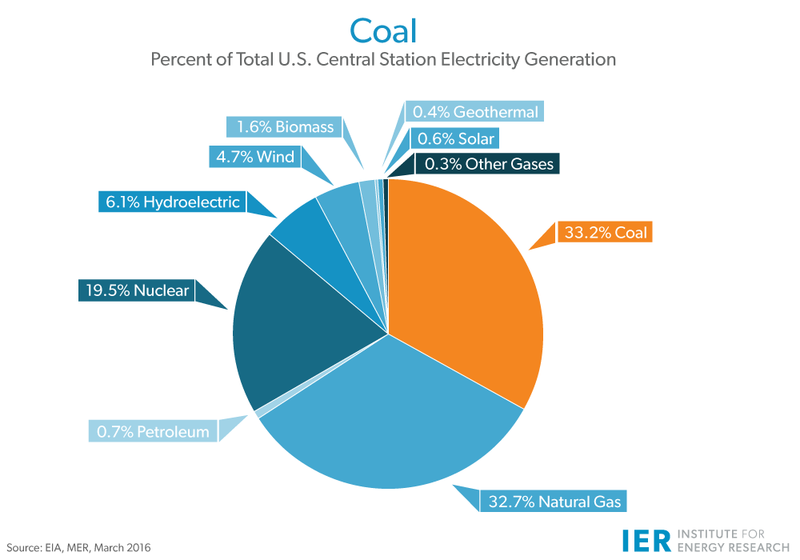 Unlike China, coal-fired power plants are no lower being built in the United States unless they have expensive carbon, capture and sequestration technology that makes them uneconomic compared to combined cycle natural gas plants. Standards set by EPA in their new source carbon dioxide regulations for power plants make other new coal plants impossible to build. 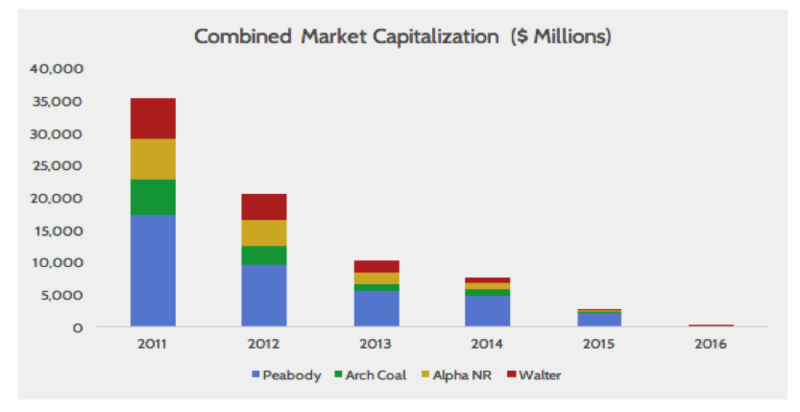 The U.S. coal industry is dying due to competition from natural gas and Obama administration regulations while China, a country that consumes 50 percent of the world’s coal, is building coal-fired power plants galore despite its Paris pledge. 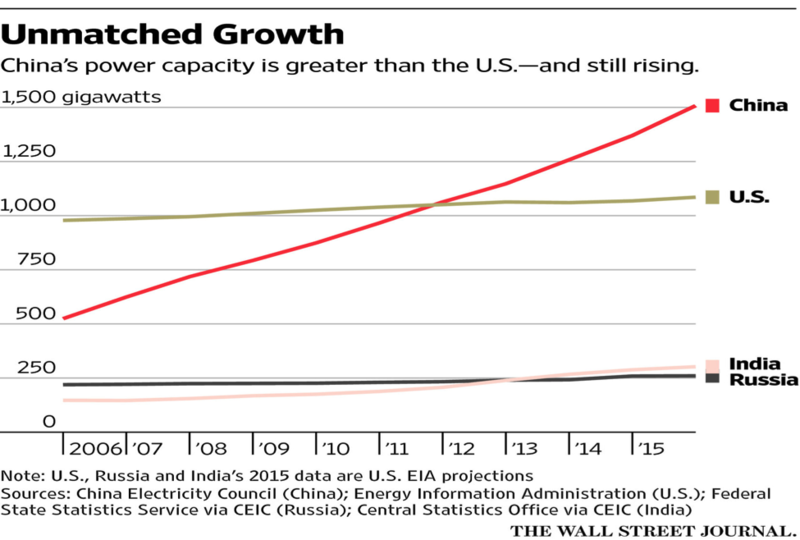 In 2008, President Obama told us, “If somebody wants to build a coal power plant, they can, it’s just that it will bankrupt them because they are going to be charged a huge sum for all that greenhouse gas that’s being emitted.” Now, many U.S. miners are out of work and the presumptive Democratic candidate for the U.S. Presidency, Hillary Clinton, intends to keep them unemployed—a sad state for American workers and the communities across the country who rely on coal mining for their economic well-being.